Can City Bounce Back After Disappointing Cup Exit? Cape Town City will now shift their focus to the Premier Soccer League after their disappointing exit from the Nedbank Cup tournament last weekend, losing to Kaizer Chiefs. Benni McCarthy’s charges find themselves within the league title race and a win against Golden Arrows would see the Mother City-based outfit on 43 points and a possible move into second place depending on other results. 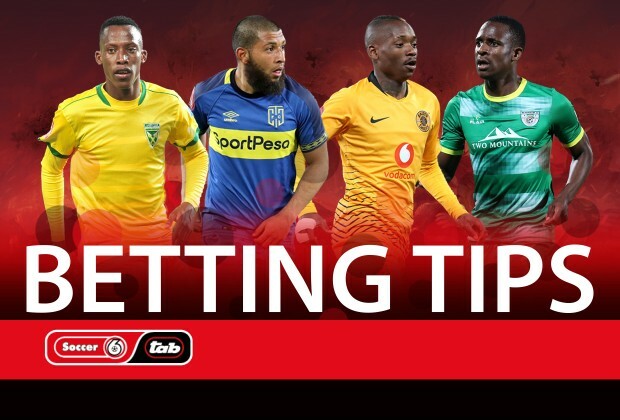 However, it does not get any easier for City as Abafana Bes’thende are fighting for a chance to secure their spot in the Top Eight. Who will be the last man standing at Sugar Ray Xulu Stadium come Saturday afternoon? Former South African midfielder, Albert Kometsi gives his prediction on this game and more! Useful facts: Cape Town City’s ‘bounce back ability’ will be put to the test in this fixture, after they were bundled out of the cup by Kaizer Chiefs last weekend. The Cape side still fancies their chances as a dark horse in the league title race and this is a very important game in their quest, especially after dropping two points at home against Polokwane City in their last league match. Golden Arrows, though, will not make it easy for them, as they edge closer to a place in the Top Eight. The Durban side’s morale will have been boosted by the win over Bloemfontein Celtic in the cup over the weekend. This is a match-up between two sides who play an enterprising brand of football, comprising of build-ups from the back. Useful facts: Turning their focus to the league, Kaizer Chiefs will want to continue with their momentum after they put on a brilliant display to dispatch of Cape Town City in the cup last Sunday. The Glamour Boys will be looking to pile on more misery on hapless Baroka FC, whose days in the league seem numbered. But most importantly, Ernst Middendorp’s charges will be aiming to move up the league table, as they mathematically stand a chance of winning the league title. Keeping another clean sheet will also be uppermost on the Soweto giants’ minds. However, Bakgaga always seem hyped-up whenever facing the big guns of South African football and, even this time around, they will not sit back and invite Chiefs to come at them. A win for them will ease the pressure, even if somewhat, on beleaguered Wedson Nyirenda, who must be having sleepless nights over his team’s results in the league.